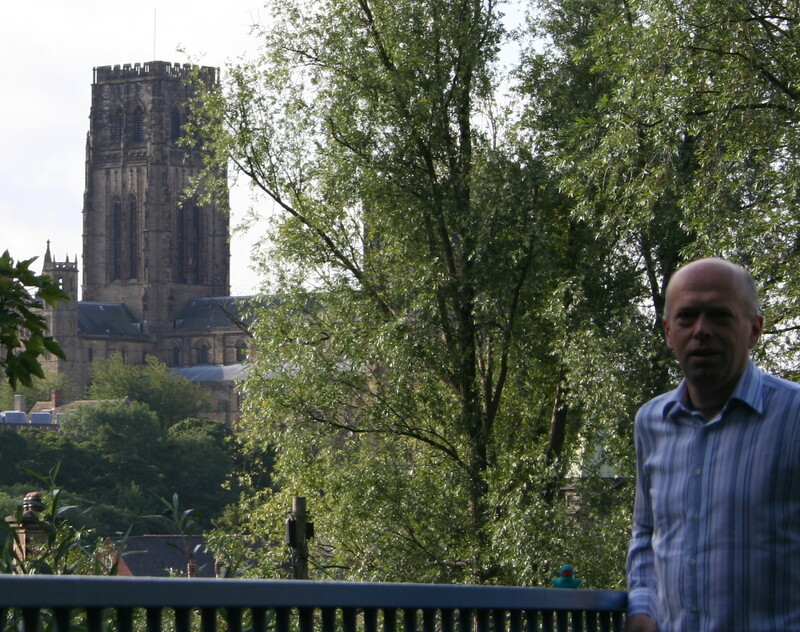 Just a guy with some time and some opinions, and a general view of how we can make the United Kingdom a happier place. A UK national football team would be a good starting point, ho ho, but money gets in the way of that happening. Doesn’t it always? If you have an hour please read all the chapters about housing. It really is remarkable how off the scale the UK housing situation is compared to other countries. On almost all measures such as price to incomes, rents to incomes, inflation since the 1970s, average floor space per person, numbers of working people qualifying for housing benefit, the UK is on or very near the top of the pile of comparison countries. It’s a crowded island but not hugely so. 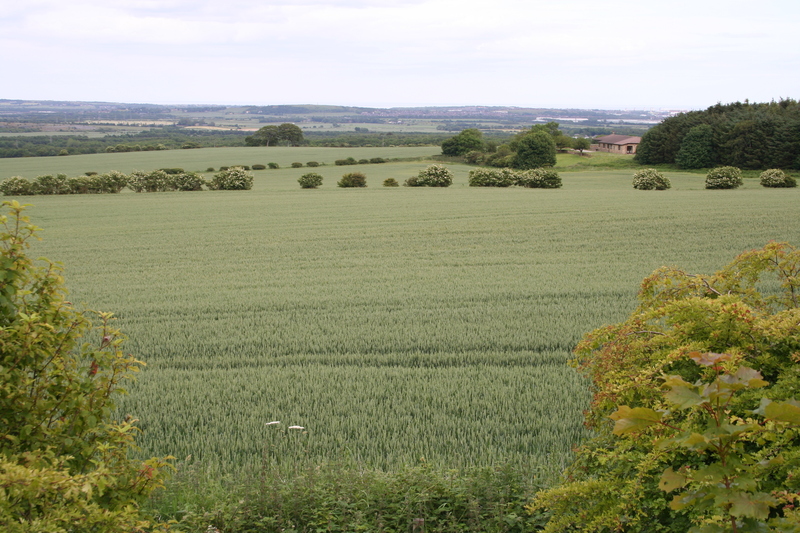 Land designated as Green Belt has about twice the land area as built-on land for example. 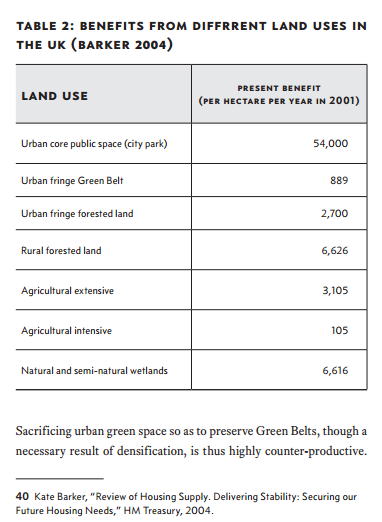 This essentially tells us that we humans value city parks or their equivalent over 50 times more than we value intensive agricultural land whether it is designated as Green Belt or not. I’m guessing that’s because people actually use local urban parkland. Many people such as the CPRE insist brownfield sites or ex-industrial sites must be developed first but these are usually close to where people live and work, and may be contaminated. If funding permitted the Barker table tells us we could in theory convert brownfield sites to urban parkland, and build housing on up to 50 times as much area of intensive agricultural land and the changes in amenity value would still leave us happier. A final thought. If something is beautiful but nobody is there to see it, is it still beautiful? It’s a more advanced question to the one asking when a tree falls in a forest, but nobody hears it, does it make a sound because the sound waves are still made. But beauty waves don’t exist. Beauty has to have a beholder. If there is nobody there then what is the point.